Welcome to USA Trailer Sales Grayling. We are the northern store of USA Trailer Sales. Located just a mile off I-75 on M-72 in the great town of Grayling. We opened our doors back in 2006 with a small store front and only 20 trailers. Over the years we have grown and moved into the location we have today with over 500+ open and enclosed trailers in stock everyday. We carry all the major brands like Load Trail, Doolittle, H&H, Look, MTI, Haulmark, Stealth, And many more. 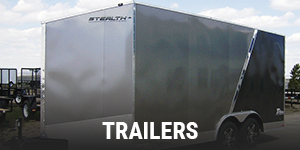 We did not get as big as we are today by just selling trailers. 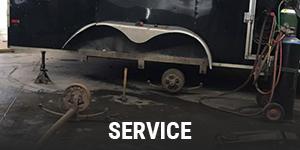 We also sell and install trailer parts, snow plows and more. 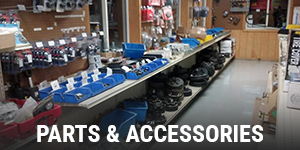 We also carry a full line of parts and accessories and even have a full service and repair department. 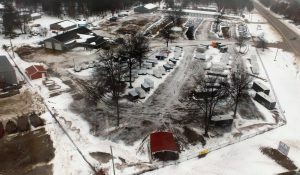 We are here for all of your trailer and snow plow needs and would love to hear from you!